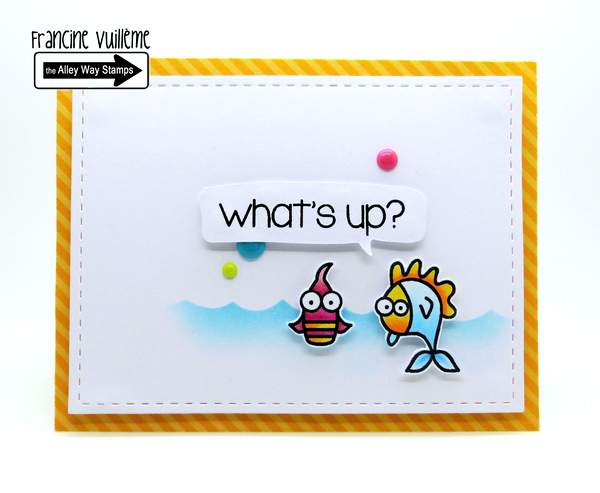 1001 cartes: TAWS DT - What's up? TAWS DT - What's up? Isn't this fun?! 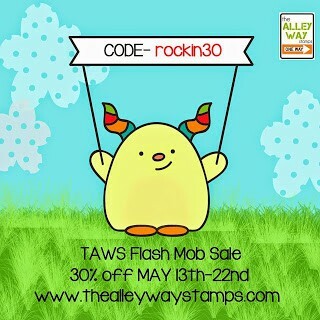 There is a flash mob sale on the The Alley Way Stamps online store! Super - wie immer - danke fuers Mitmachen bei ATSM! Your cards are FANTASTIC Francine! 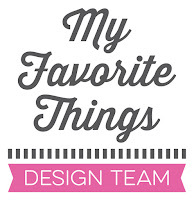 Love every one of them and your imagination is brilliant. Spotted this in the Mask-erade Class! Love it!! See you in class!! Great card. Just the right amount of "stuff" on it. 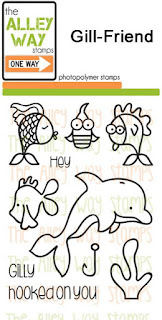 It is O"fish"al - you are super good at these cards with fishes and water!! 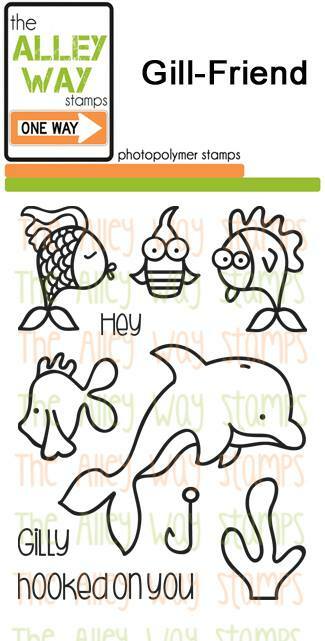 Super great - love the background and the perfect placement of enamel dots! !